Description: Stock Photo of Cows Grazing. 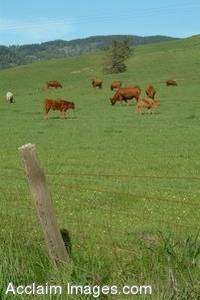 This photo shows cows grazing lazily in a pasture on the Oregon Coast. This photo is available as an art print or poster and may be licensed as stock photography.